If you are interested, you can download this month’s Newtype magazine via this link. The magazine includes the most recent Kobato. 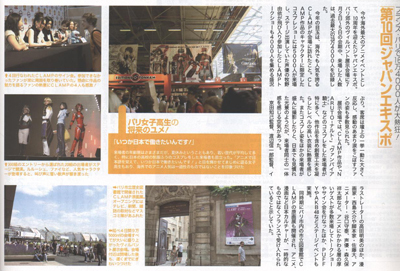 chapter and the TV Anime article, the Code Geass illustration that CLAMP drew for Newtype‘s pin-up calendar and a report from CLAMP’s visit to Paris. It is incredibly simple though, I too was expecting a little bit more from them, but you know hey. Thanks for the link. I was wondering how I was going to get a hold of this. I love Mokona’s SDs, they are so adorable! That is quite the adorable looking Amuro. Wouldn’t mind seeing a CLAMP version of Char actually.